Pedigree: Click here to view pedigree. 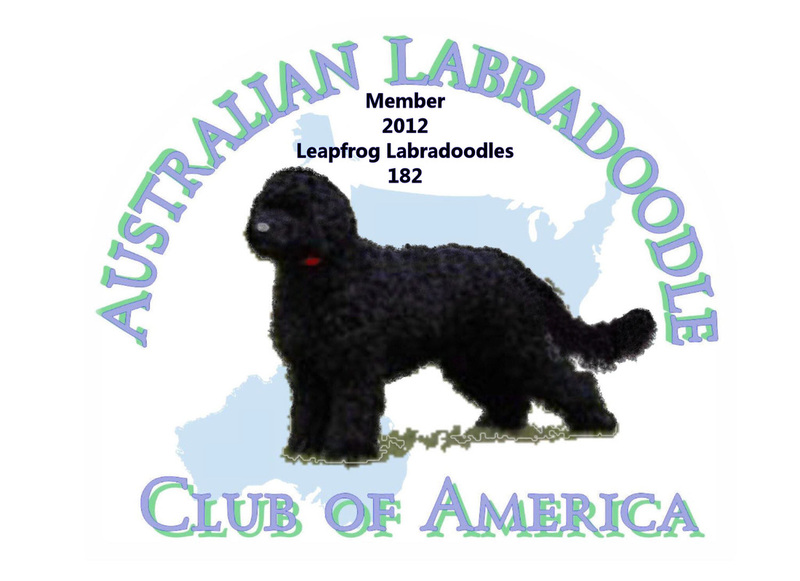 Carries the Australian Service Dog™ logo. 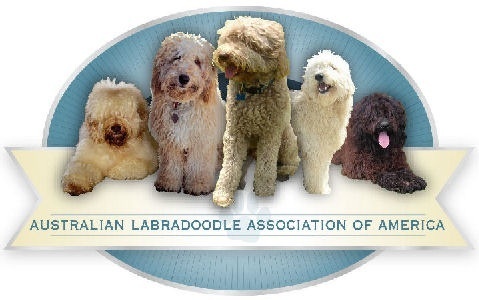 Listed in the Australian Labradoodle Founder's Alliance Stud Book. Registered with ALCA and ALAA. Chox is an awesome boy in every way. He has a fabulous pedigree, a stunning dark chocolate fleece coat, great boning, saber tail, and a sweet and loving disposition. Chox is especially fond of children and his quiet attentiveness toward them naturally causes kids to feel special. My 4 year old daughter has proudly pronounced on several occasions, "look mom, Choxy is in love with me!" 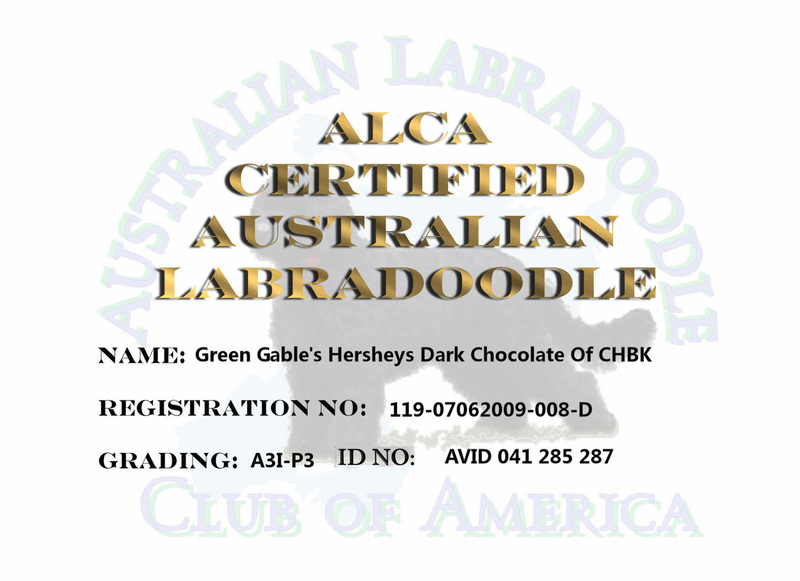 Because of this much sought after trait, Chox will soon begin training to become an assistance dog for children who need extra help learning to read. One of Chox's daughters (Zylie) is currently in training with Canine Angels, an organization that trains assistance dogs for children. 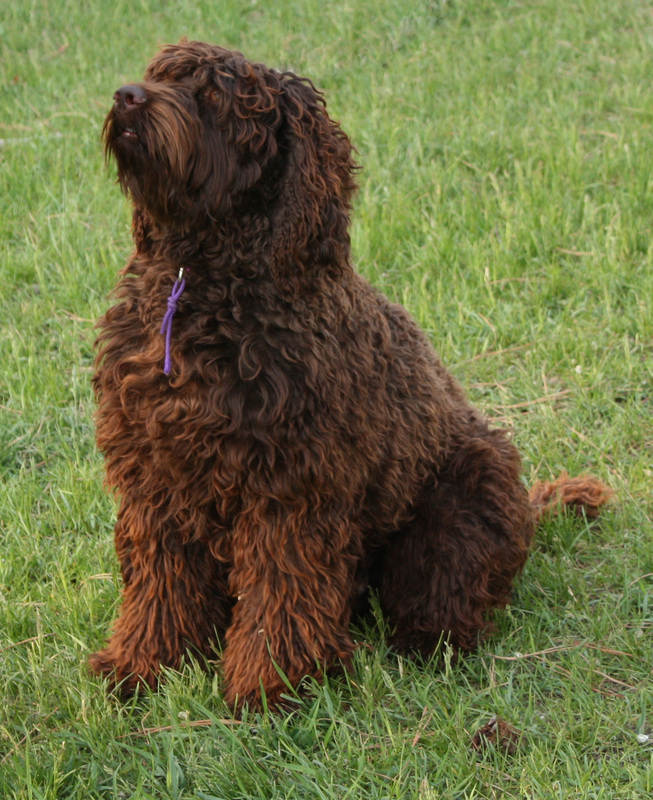 Chox' sweet, intuitive nature, along with his stunning coat, conformation, and boning will make him an asset to many breeding programs. Available via live cover, fresh chilled, or frozen. 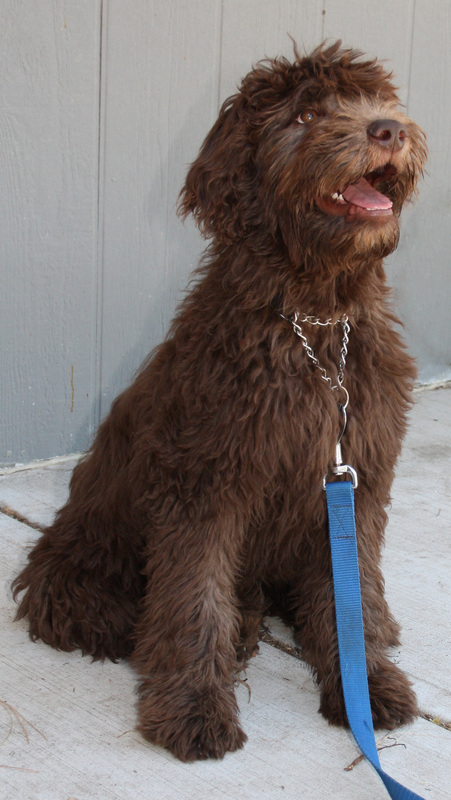 Chox is co-owned with Gemstone Labradoodles. He lives here at Leapfrog on the Sunshine Coast of BC, 1.5 hours out of downtown Vancouver and a short distance from Vancouver International Airport. 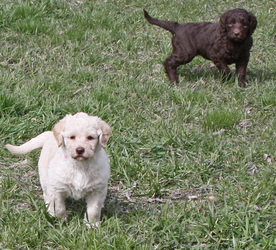 Please contact Cheyene (Leapfrog) or Barb (Gemstone) to inquire about using Chox in your breeding program. 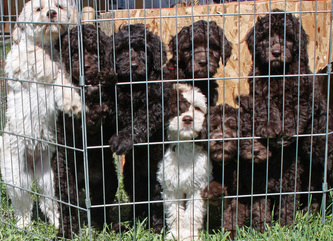 A few of Chox's puppies are pictured below. 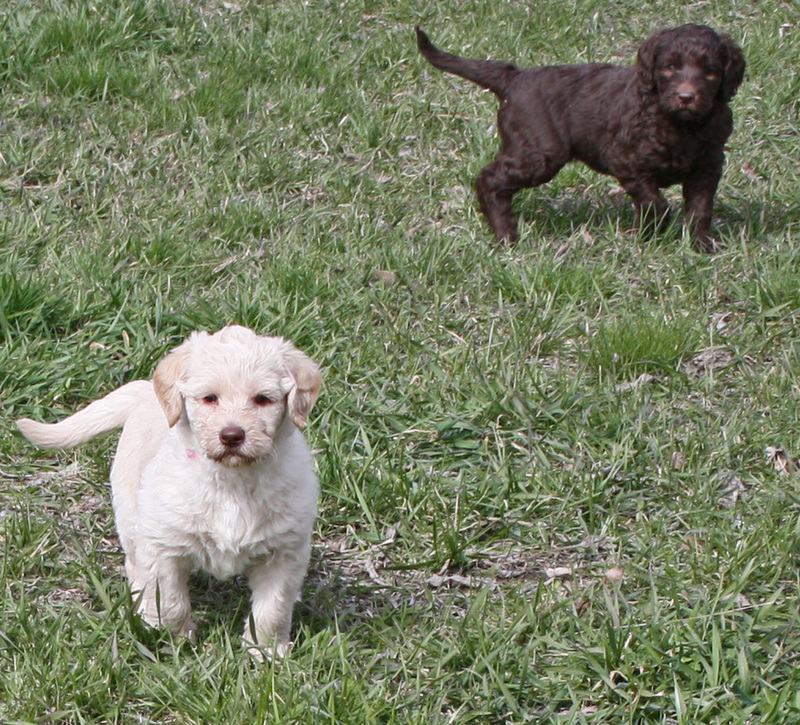 These puppies were born and raised at Gemstone Labradoodles (we will have our first litter with Chox in 2012). 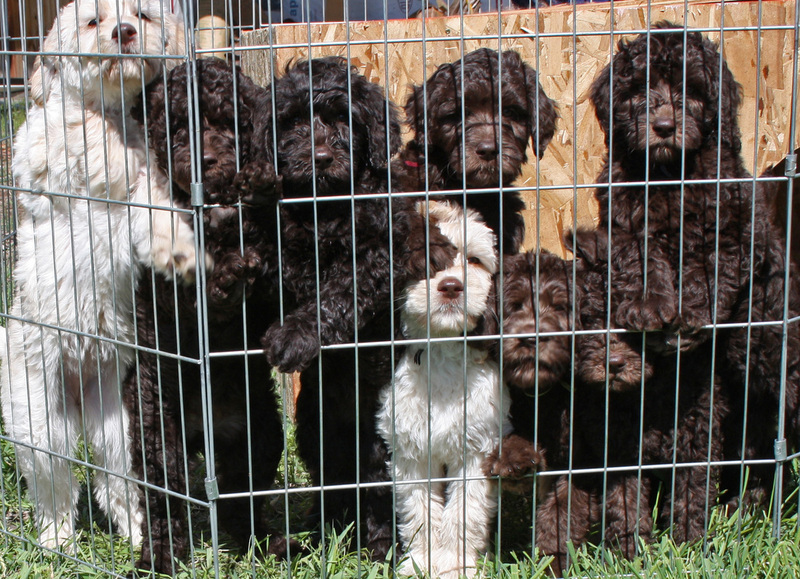 Photos are courtesy of Gemstone Labradoodles.